Denny Hulme raced only for two teams during a 10-year F1 career, and both were run by fellow drivers. That gives some indication of the respect his peers had for this often underrated racer, although his no-nonsense personality never really captured the public’s imagination. Denny made his way in the sport as a mechanic in New Zealand. In 1960, he was chosen for a ‘Driver to Europe’ scheme, but didn’t really get a chance to make his name until 1963, when he starred in British Formula Junior for Brabham. Team boss Jack gave him a F1 ride in 1965 and he also showed well in F2. In 1966 he scored four podium finishes, but in ’67 he seized his chance and won twice on his way to the title. He then joined McLaren, where he would stay until 1974. Although never again a title contender, he eventually won six Grand Prix for McLaren and helped to keep the team afloat after Bruce was killed, despite being injured himself at Indianapolis. It was in ‘big banger’ sports cars that Denny really excelled, initially on the British scene and later in the CanAm series, in which he won the championship twice. He retired from F1 at the end of 1974, at the age of 38. However, Denny later made a full-time comeback in touring cars, and found success in his fifties. 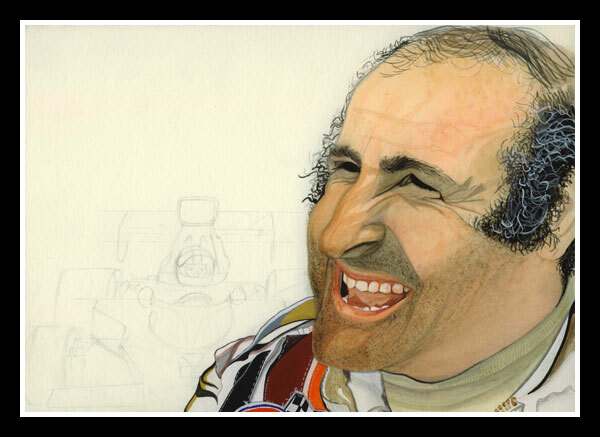 Sadly, at Bathurst in 1992, he succumbed to a heart attack while driving a BMW.